Summary: “Every spring, across the land…Seeds sprout. Stems pop out. 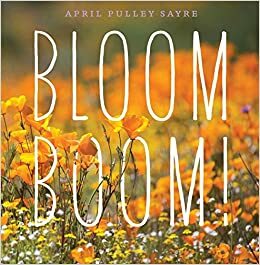 Bloom boom!” This book celebrates plants as they grow and blossom. The large, close-up photos show all kinds of flowers, as well as leaves, bulbs, and an occasional animal (caterpillar, bee, lizard). 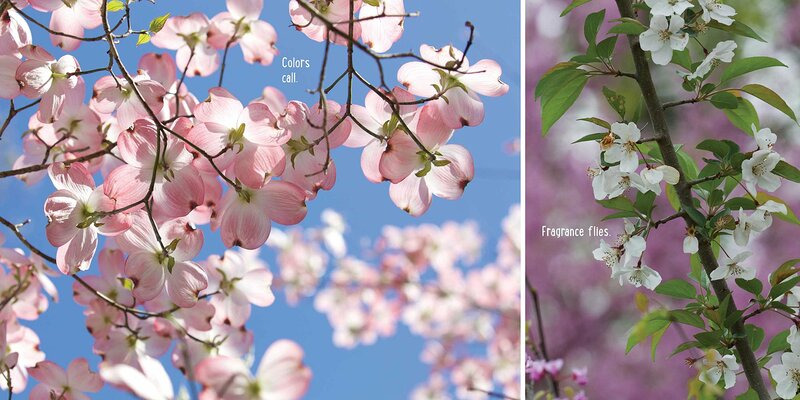 The phrase “Bloom boom!” is repeated as blossoming flowers are shown in a variety of habitats. There are several pages of back matter, including information about flowers organized by habitat; additional resources; and thumbnail photos of each page in the book with further information about the plants and animals pictured. 40 pages; ages 4-8. Pros: April Pulley Sayre has produced another beautiful and informative science book for preschoolers on up. Keep it in mind for a spring read-aloud. The additional resources and information at the end make it a valuable resource for older kids. Cons: I found “Bloom boom” to be a little bit of a tongue-twister.